MOORE HAVEN – Sunni Bearden has kept busy since the Moore Haven High School softball season ended. Bearden, a senior centerfield from the Brighton Reservation, was named the team’s Most Valuable Player during the school’s spring sports awards ceremony May 17. She also signed to play for South Florida State College in Avon Park. 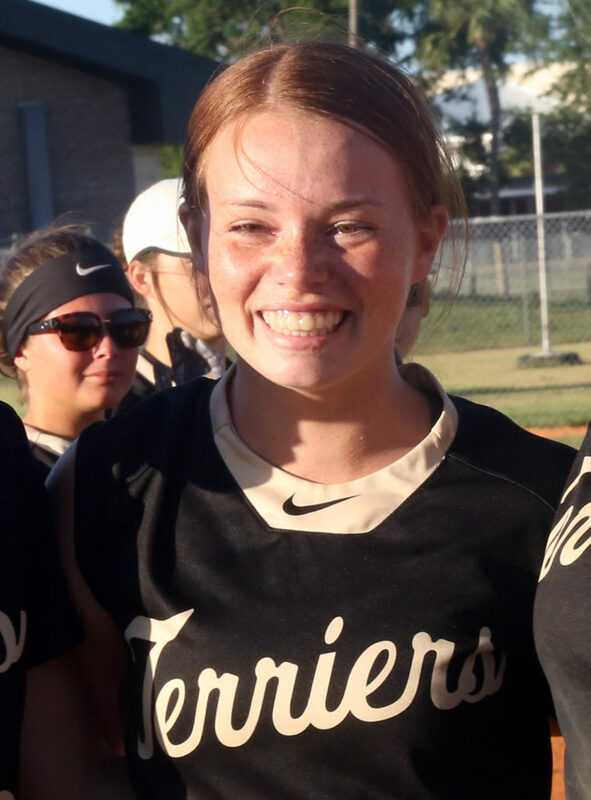 Bearden, a four-year varsity player, was the team’s leadoff batter and a defensive star during her tenure at Moore Haven, including the past two seasons playing for coach Clint Raulerson. She helped Moore Haven win the Class 3A-District 6 title April 26 when the Terriers defeated St. John Neumann-Naples, 12-5. Moore Haven won district championships in all four of Bearden’s seasons. Moore Haven’s season this year ended May 3 with a 3-1 loss at home to St. Stephen’s Episcopal-Bradenton in a Class 3A regional semifinal. Bearden was a multi-sport standout at Moore Haven where she also excelled in volleyball and basketball. She and the rest of Moore Haven’s Class of 2018 were scheduled to graduate June 1.